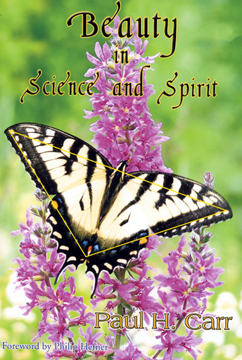 SUMMARY: "BEAUTY in SCIENCE & SPIRIT"
194 pages. 37 illustrations including 16 color plates. Charles Darwin explained the evolution of "forms most beautiful" by variations and the natural selection law. Yet many doubt Darwin. How could a process having randomness lead to life and even beauty? Dr. Carr shows how randomness coupled with law is creative, as evidenced by the recent discovery that fractal geometry permeates nature’s beauty, from snowflakes to the branching of plants and lungs. Both fractals and evolution are characterized by the interplay of chance and necessity. This interplay extends to science and spirit. The scientific account of the origin of the universe complements that of spiritual stories. Each can be beautiful in its own way, because spiritual and scientific stories have different purposes. Spiritual stories answer "why" and give guidance and motivation for living. Scientific theories explain "how," give a coherent rational account of measurements, and make predictions. Integrating the "how" with the "why" can lead to a beautiful new story that transcends national and cultural differences. The complementary beauty of science and spirit can give us a wider vision. 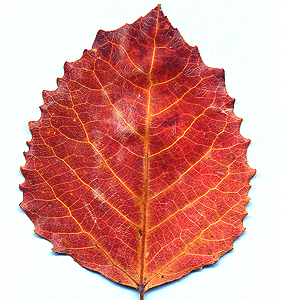 Science and technology without spiritual and moral guidance can result in the exploitation of nature’s beauty. Deforestation and the combustion of fossil fuels contribute to the growing threat of global climate change. The power of spiritual values can help in orienting us towards more equitable balance between ecology and economics. --This book was published in October 2006 by www.BeechRiverBooks.com/id08 Center Ossipee, NH, 194 pages. 37 illustrations including 16 color plates. ISBN 0-9776514-7-9.